Diabetic gastroparesis is a medical phrase used to describe an uncomfortable condition in which the stomach takes too long to empty its contents. Gastroparesis is usually caused by damage to the vagus nerve. The vagus nerve is responsible for moving food through your digestive system.When the nerve doesn’t send signals to the stomach to empty, or the signals don’t get through, a number of symptoms can result. Heartburn, nausea, weight loss, abdominal bloating, stomach muscle spasms, and vomiting undigested food are all common problems associated with diabetic gastroparesis. Other conditions can also trigger gastroparesis. These include anorexia nervosa, stomach surgery that affects the vagus nerve, certain medications (anticholinergics and narcotics), reflux disease, smooth muscle disorders (including amyloidosis and scleroderma), hypothyroidism, and Parkinson’s disease. Diabetics often suffer from gastroparesis because high blood glucose levels can damage the vagus nerve over time. High blood glucose seems to trigger adverse changes in many nerves in the body, including chemical changes which cause damage to the blood vessels that carry essential oxygen and nutrients to nerves. So how do you protect yourself from a case of gastroparesis, especially if you’re diabetic? 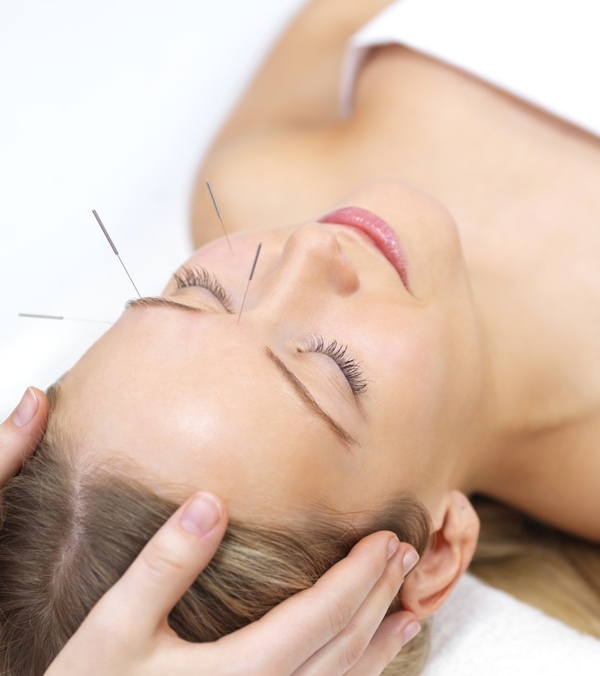 You might want to consider trying acupuncture, as it has been shown to exert favorable results in clinical trials. One recent trial compared the effectiveness of domperidone (a common medication used to treat gastroparesis) and acupuncture for the treatment of diabetic gastroparesis. Patients diagnosed with both diabetes and gastroparesis were recruited for the study. The patients were given a 20 mg dose of domperidone, four times a day for 12 weeks. The researchers then stopped the medication and let the patients have a two to three week washout period. This was followed by biweekly acupuncture treatments for eight weeks. The researchers then compared the effectiveness of both treatments. They found that there were no changes in blood glucose or symptoms of gastroparesis in the domperidone treatment group. Conversely, acupuncture treatments resulted in a decrease in all symptoms associated with gastroparesis as well as improving overall quality of life scores. In another clinical trial, researchers investigated the effects of electroacupuncture on gastric emptying time and blood glucose levels in 19 diabetic patients with gastroparesis. Participants were randomized to receive either placebo treatments or four sessions of acupuncture spread over two weeks. The researchers found that gastric-emptying time significantly improved in nine patients receiving the acupuncture treatments. In contrast, gastric emptying time did not improve in any of the patients in the placebo group. Symptom severity improved significantly in the acupuncture group—both at the end of the trial two weeks later at follow up. The research team concluded that short term electro acupuncture reduces symptoms associated with gastroparesis. If you’re diabetic and having trouble getting your digestive system to work properly, acupuncture may be an alternative treatment you can turn to. Talk to your healthcare provider about finding a professional in your community. Miller, N., et al., “Benefits of acupuncture for diabetic gastroparesis: a comparative preliminary study,” Acupunct Med. December 9, 2013. Wang, C.P., et al., “A single-blinded, randomized pilot study evaluating effects of electroacupuncture in diabetic patients with symptoms suggestive of gastroparesis,” J Altern Complement Med. September 2008; 14(7): 833-9.